If they'd just tell us. They don't want us to know that they have changed the amount in the bottle, Millie. I noticed the same thing about a big can of peanuts I bought at Costco yesterday. I think the can is 2-3 inches shorter than it used to be, but the same diameter. I'm like you; some of the big bottles and jugs are too large for my hands now - so I buy smaller quantities. Glad to ahve you back! Oh yes, seems all containers are getting smaller. 5 lbs. of sugar fit in a 4 lb. bag for a few years now. Of course it is just 4 lbs. of sugar in the bag. 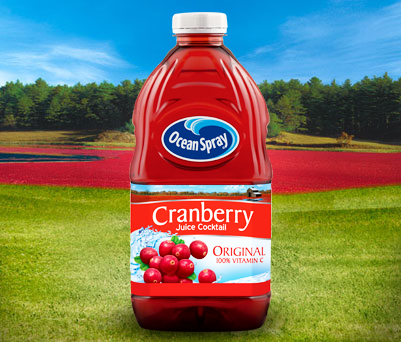 I too like ocean spray cranberry juice, and for years I bought the single serving bottles to take with me to work. Now that I am retired, and have a juicer, I make my own cranberry juice using fresh and/or frozen berries. It takes A LOT of berries to make the juice, which is very tart. I juice a couple of apples along with the cranberries for sweetness. I now understand why the juice is so expensive. Another good example of shrinking is coffee. The packaging looks the same but the contents SHRINKS! It is a surprise when it happens and that is why the price stays the same. But...of course the profit is larger! Enjoy your cranberry juice it is very good for you. I buy the small size of some products because their are only two of us. No more large anything for me I fear.